Yesterday I spent the afternoon at the Al Muwaiji fort ( Qasr al Muwaiji in arabic) in Al Ain, U.A.E.. I was there for a client shooting architectural images of a brand new glass structure inside the fort, which will be used as a heritage museum. Some of the images will be available on the site in a weeks time. 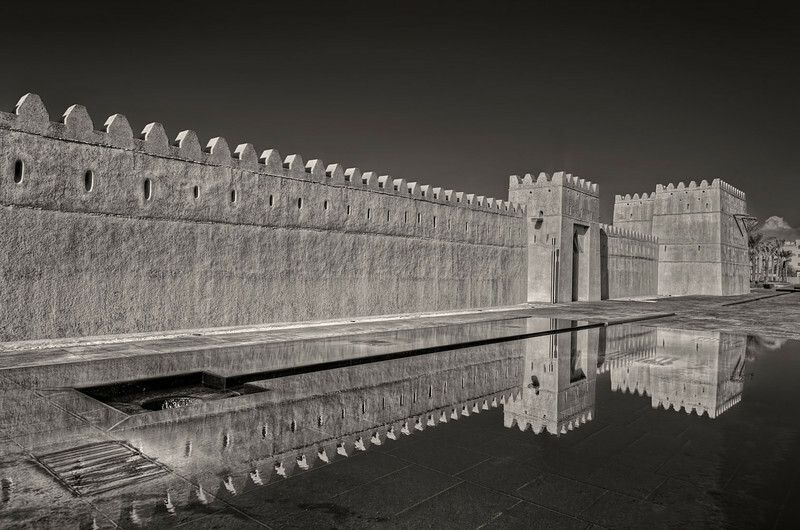 Interesting enough, the fort is the place of birth of the President of the UAE, Sheik Khalifa bin Zayed Al Nahyan. At the front entrance, I shot this HDR ( High Dynamic Range ) image of the fort and its reflection in the adjacent pool. Saying that the last two days have been eventful might be a bit of an understatement! The day before yesterday, we left on a boat and camping trip to a deserted island 30 miles of the coast of Dubai. We left on a friends catamaran and came back by motorboat yesterday afternoon. It was the return trip that was the most memorable... A storm that developed during the night, created some very rough seas. Waves estimated 15 to 20ft (5 to 6m) made it for an interesting 2.5 hr ride. Those of you that saw the movie the perfect storm know what I mean! Beside loosing a few cool-boxes and a wave cracking one of the boats windshield, all ended well. All of this is probably hard to believe, when one sees the image of my friends anchored catamaran laying in calm waters, just as we set sail. The fishing boats sheltering at the moon-shaped island, should have been a sign... Call it a lesson learnt! Similar to European cities like Prague, Rome and Venice; Vienna is a real photography paradise. Last week I spent 48 hrs in this Austrian city that breathes culture day and night! 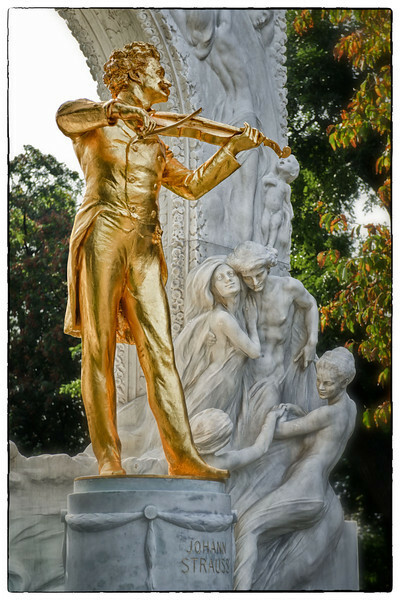 In the Stadtpark, we find the golden statue of world renown Austrian composer, Johan Strauss (1825-1899). More images of the amazing city of Vienna can be found here. 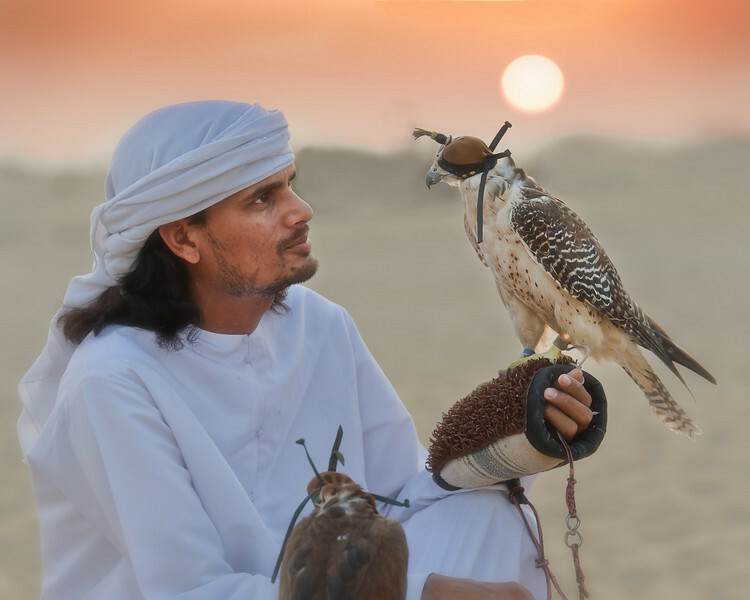 Falconry is an integral part of desert life, which has been practiced for centuries. Originally, falcons were used for hunting and supplemented the Bedouin diet with some meat, such as hare or houbara. Today the Falcon in the Middle East, is not seen as a tool but rather as an extension of the family. The leaders of the UAE, have shown great concern and support for this important part of the UAE's cultural heritage. As an airline pilot, I've seen Falcons traveling in their own first class seats on multiple occasions. They have their own hospitals and some of them are worth over $25000. While on a quick two day getaway to the Bab al Shams desert resort last week, I photographed this UAE national showing off his bird of prey. Their friendship really shows! Some more images of the sunset shoot can be found here.